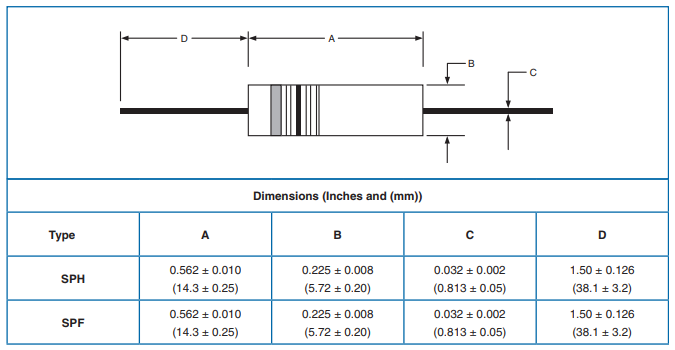 The unique feature of this series of wire wound resistors is their case size. To make more compact resistors, IRC developed the BWH series and the BWF series which are rated at 2 watts, however they're encapsulated in a 1 watt case size. The same applies for the BW20 series and the BW20F series which are rated at a 1 watt rating encapsulated in a ½ watt case size. Note: After IRC was bought out by TRW/TT Electronics the BWH, BWF, BW20 and the BW20F series were discontinued. TRW/TT Electronics released a new series of resistors that serve as drop in replacements for the older series. To cross reference the older series to the new series click here. Every type of wire wound resistor has a resistive alloy winding on a braided fiberglass substrate. To increase processibility and protect the resistive element, these resistors are coated in a silicone coating. 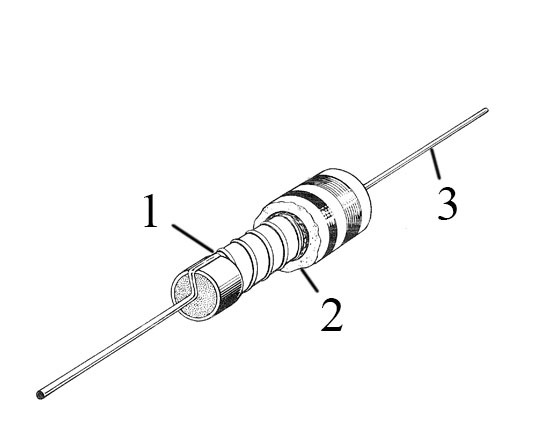 This type of resistor is encapsulated in a compressed molded phenolic plastic material. Any part number ending with the letter “F”, simply means that there is a flame retardant coating applied to the resistive element. Which provides flammability protection when a destructive load may occur. This series of wirewound resistors are terminated using a copper flashed steel lead with an alloy coating, which is then welded to a cap made out of the same material. 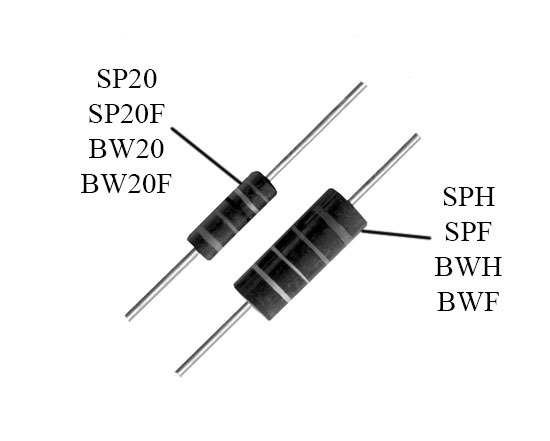 Ordering Information For The SPH/SPF, SP20/SP20F, BWH/BWF, BW20/BW20F Series Resistors. Current TRW/TT Electronics Part Numbers. Note: F = Flame resistance coating applied. Resistance is expressed in Ω (ohms), use a decimal point and as many digits as required. Tolerance is expressed as a percentage. Failsafe Moulded Wirewound Resistors can be found in audio equipment such as guitar amplifiers, power amplifiers, and preamplifiers. Click here to browse our BWH/SPH Series inventory. Click here to browse our BWF Series inventory. Click here to browse our BW20 Series inventory. Click here to browse our SP20/SP20F Series inventory. Click here to download SPH/SPF Wirewound Resistor spec sheet. Click here to download SP20/SP20F Wirewound Resistor spec sheet. Click here to download BWF/BW20F Wirewound Resistor spec sheet.